Our top 10 moments from January 2019. Check out our January at a glance! Fantastic local artist Eliza Evans has painted SO MANY BEAUTIFUL PEOPLE on the cafeteria of our local Buford Middle School. 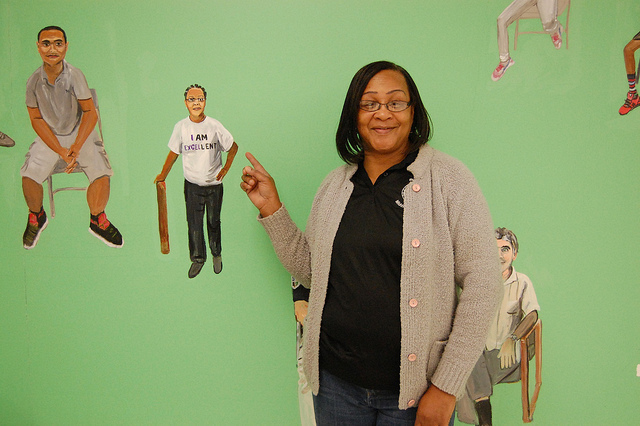 We’re super impressed by how she paints all of her portraits from life–The entire initiative was lead by Eliza and the Charlottesville Mural Project (a program of The Bridge). We love seeing the pride on the faces of those lucky kids and adults who were selected for the mural! With any luck, hopefully we’ll see Eliza add to this mural for years to come! See more here. 2. Signs of Change… And Signs of a Packed House. 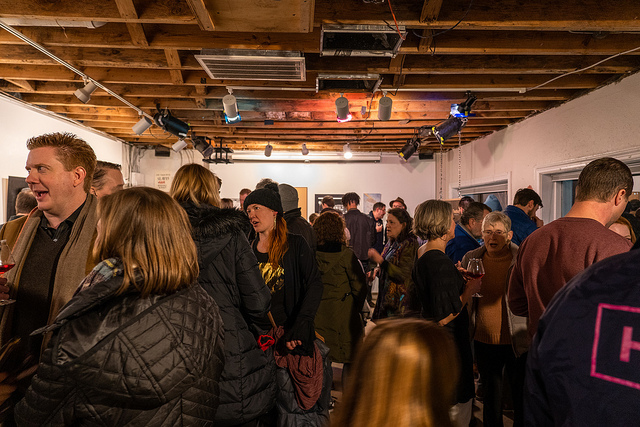 This Signs of Change exhibit featured a dozen artists making work to share their perspective about specific moments in Charlottesville’s racial history… both the good and the ugly. It was the culmination of a fantastic endeavor with The Fralin, Charlottesville Office of Human Rights, and The African American Heritage Center. Nobody left without a new perspective. And as you can see from the photos, that’s A LOT of folks with a new perspective. 3. The Artists of Signs of Change. 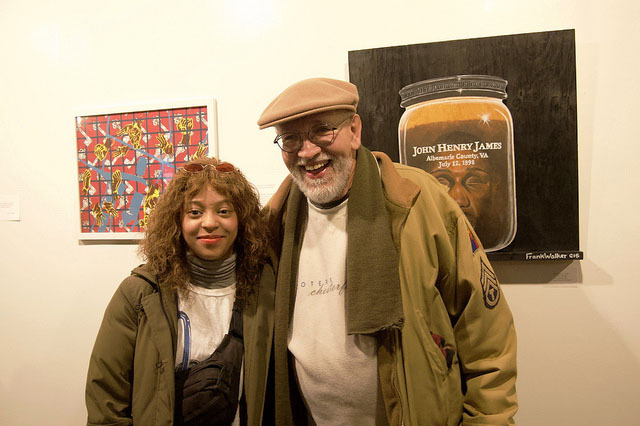 All of the artists in this exhibit deserve a photo of their own in this list, but since we’re choosing just one, let’s talk about these two smiling faces! Sahara Clemons and Frank Walker are standing in front of their artworks about the history of Vinegar Hill and Charlottesville’s history of unjust lynching, respectively. Serendipitously (and unbeknownst to the installers), Frank has been a creative mentor to Sahara for quite some time! And they just so happen to be exhibiting alongside each other in the gallery! Perfect! See more here. 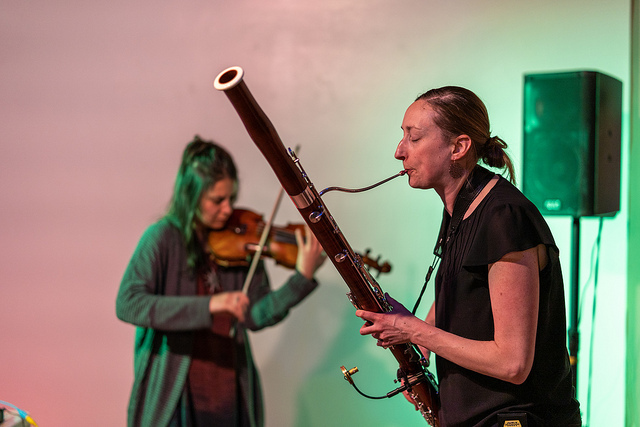 Dana Jessen and Erica Dicker traveled to Charlottesville to perform at our monthly experimental music series, Telemetry. Always free and always open to the public, Telemetry is consistently pushing boundaries. We put university, townie, and out-of-town acts on the same bill and love seeing the inspiring results. Come out each month to see something new! See more here. 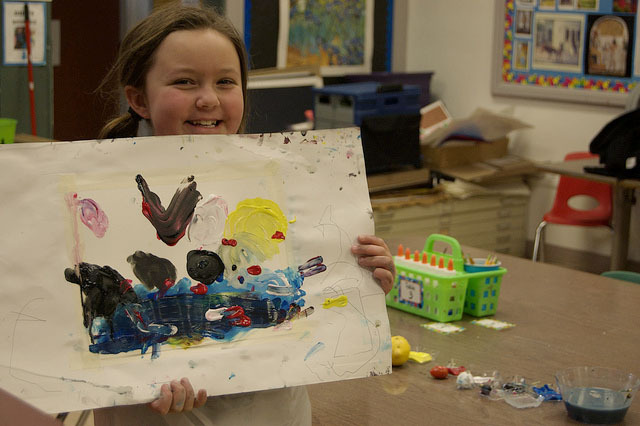 smART KIDS puts local artists on a creative collision course with children at Clark Elementary. 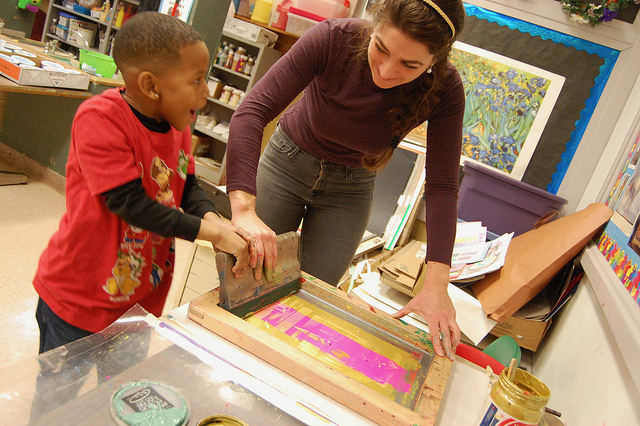 With a focus on exploration of new mediums, new ideas, and new confidence, Marie Landragin showed these young buds some quick and dirty screenprinting techniques. See more here. Whoa. Tongue Depressor came down from New Haven CT to play a set with local heroes Daniel Bachman and Jordan Perry. It sufficiently rattle our bones. 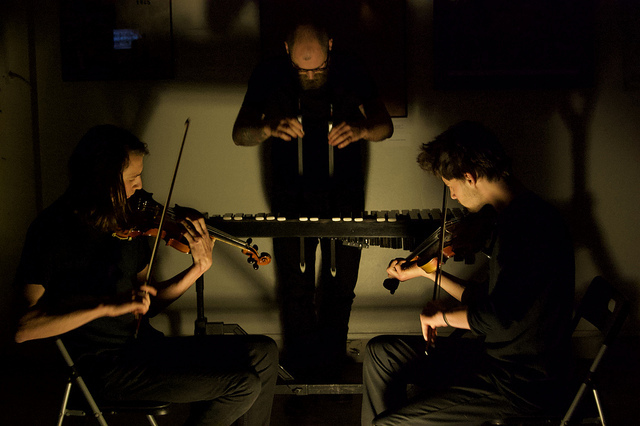 These musicians have fiddles and a glockenspiel and know how to use ’em! And they look good doing it! See more here. 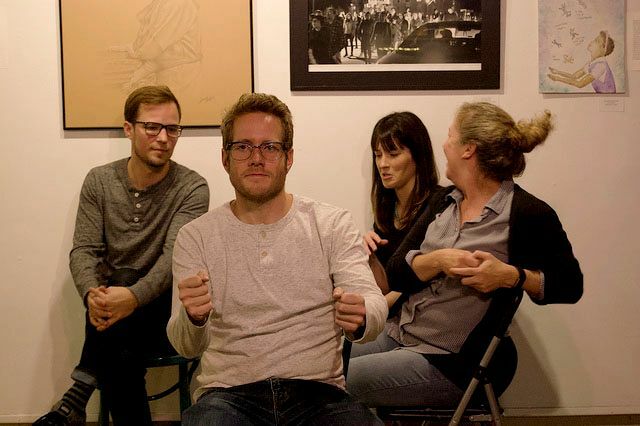 Local long-form improv heroes Big Blue Door are regulars in the gallery. We’re not certain, but it always seems like they save their best material for their monthly performance in the gallery. You’re always welcome to hop in and go for a ride. See more here. 8. Getting Into It @ Open Mic. 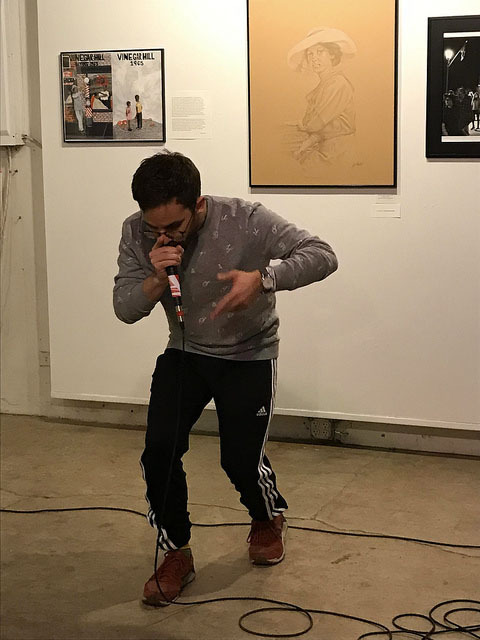 Recent Open Mic Nights have been GREAT! It’s so fun to see so many artists and performers showcasing so many cool (and sometimes bizarrely cool) talents. Whatever your craft, whatever your skill level, post Patricia Asuncion will be sure to give you a warm welcome on the 4th Wednesday of every month!. See more here. 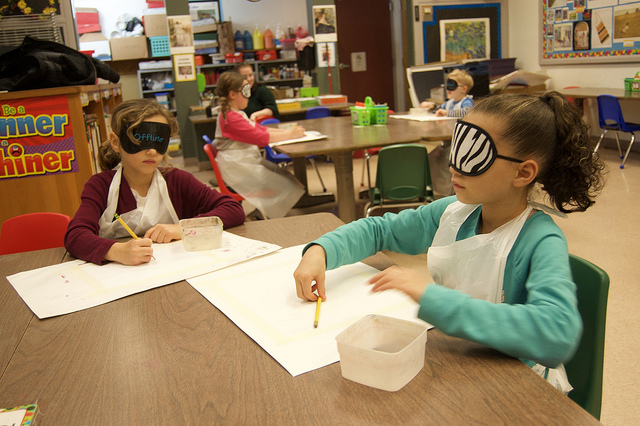 Lots of smiles once these young painters took off their blindfolds! These kids are so inspiring. We can’t wait to see what Jum Jirapan and our smART KIDS cook up next! See more here.